Choosing a Blind for your home may turn out a confusing task. The excitement of getting a new blind rapidly disappears when you are actually in the process of getting one, and find out the plethora of options available. Here is a little heads-up on the different types of blinds available and their special features. Effective light control, beauty, durability, and ease of cleaning are just some of the superior properties of vertical blinds. They are ideal for tall windows and doors and are most often seen over patio doors. As the name suggests, they are close cousins of vertical blinds. The major distinguishing property is that the gaps between the slats have been plugged in vertical blind alternatives, thus more light control is assured. 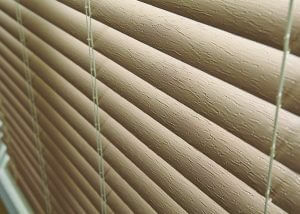 Various finishing and width options are available for wooden blinds. Wooden blinds offer warmth and a vintage touch to your home, coupled with durability and longevity. The design and features are similar to wooden blinds but wooden blind alternatives are free from warping, cracking or fading- the major flaws of wooden blinds. Ideal for rooms prone to more than the regular amount of moisture and heat- your kitchen and bathroom for example. These confer a gorgeous, vintage look on your home and offer almost unmatched elegance. It’s as possible to completely swing them out of the way to let in full sunlight, or absorb the pleasant view outside, without needing to leave your room. They are commonly made of fabric, thus the variety of styles and colors are available. They are typically designed to fold accordion fold as they slide up and spread out as they slide down. This gives you control over the amount of light you’re letting in. You could view this blind as a Roman blind with a vertical orientation. They are easy to slide thus offering good light control. They also bear a close semblance to curtains and are suitable substitutes for large doors and windows. Versatile blinds coming in different materials and colors to suit almost any purpose. They are horizontally slated and black out styles are available for ultimate light control. These have certainly been on the good side of creativity and innovation. They now come in various fabrics and designs and are ideal for irregularly shaped windows and many other uses. Durable blinds that give you perfect control over light intensity in your room. Features such as head rails also help to make the more seamless. We hope this post would simplify your decision making process when next you’re selecting a blind. Pay attention to finer details such as material and color of your choice and remember we’ve got you covered, always.